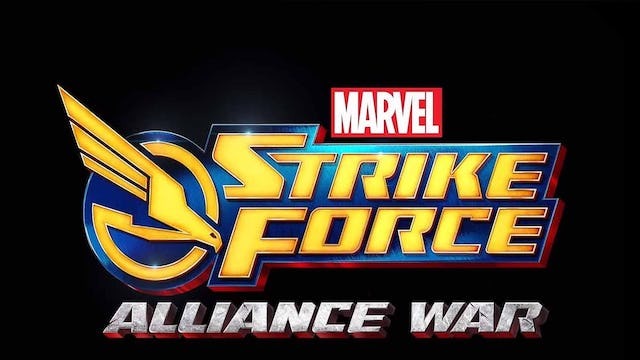 Fans of the hit mobile game Marvel Strike Force have a big new update to celebrate, as the Alliance War has begun! Marvel and FoxNext Games have revealed the hefty new update for the free-to-play strategy game. It comes right as the game celebrates its one-year anniversary, with thousands of players logging in for battle. Also joining the party are Okoye and Shuri, who bring their own specialized skills to the table. Shuri’s high-tech prowess enables her to make her team’s attacks stronger. Meanwhile, Okoye’s speed and acrobatics make her unmatched in the heat of combat. As for where this epic new battle will take place, it’ll be between two of S.H.I.E.L.D.’s Helicarriers. The goal of this mission is to infiltrate the enemy’s flying fortress while players defend their own. Players will take on opposition from enemies while tearing down individual rooms, thus increasing their score. The winner with the highest score- and the last standing Helicarrier- wins. Like other modes in the game (including Blitz, Arena and Raids), Alliance War has its own special currency. Players can compete for various special rewards for their team, and buy items within the War Store. You can see these items- and even more tactics from the mode- in the trailer below. Marvel Strike Force: Alliance War is available now for iOS devices and Android through Google Play. What Strike Force team would suit your skills best? Let us know in the comments below!